Makakahi Lodge is a fully refurbished, original farm homestead newly opened in 2012. The lodge is spacious, sleeping 12 people in comfort with a large kitchen and dining area, lounge, laundry, 2 modern bathrooms with 3 toilets. The expansive deck allows you to enjoy BBQs in the sunshine whilst the large log fire keeps you warm in the winter. There is a trampoline for the children as well as a sandpit or they can feed the pigs or give Pluto the miniature horse a brush or lead him around the paddock. Come and experience country living at its finest, even if there are only 2 of you, you get the house all to yourself. We offer our guests the opportunity to enjoy our farm which boasts the magnificent Manganui o te ao River with its secluded fishing spots, abundant trout and the chance to observe the endangered Whio (blue duck) in its natural environment. We have large areas of native bush for nature lovers to explore and an array of tracks for those who enjoy mountain biking or horse riding. You can bring your own horses which takes in the vistas of Mt Ruapehu, Mt Ngauruhoe, Mt Tongariro, and on a clear day, Mt Taranaki. The Ruapehu region is well known for its magnificent walks and cycleways. We are situated beside the iconic ‘Bridge to Nowhere’ trail which forms part of the ‘Mountain to Sea’ cycleway. Just 1km of the Ruatiti Orautoha Road.This 38 km trail winds you down Ruatiti Road, through the Mangapurua valley to the Whanganui River. We are situated 20 minutes from Ohakune (and only 500 metres from the tar seal) a vibrant town offering good shopping, bars and cafes, 40 minutes from Turoa ski field and 55 minutes from Whakapapa. Most of the time we have farm puppies which the kids love to play with and a friendly baby goat,which also kids can play with. Children are welcome to go eeling and swimming in our own private area of the Maunganui A Te Ao. Acess is by walking . Walking only to the river, on some occasions transport can be arranged. Please let owners know of this. A child friendly home with trampoline,swing and a big games room, and a cute pony to cuddle. Excellent location, fantastic for outdoor children. Extremely clean with great facilities. Accomodated our extended family very well. Would go again. 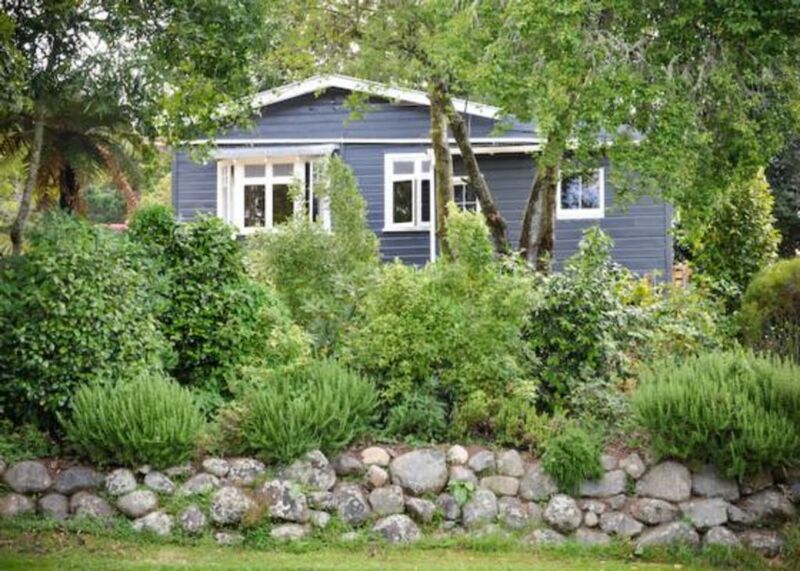 Clean, nice, warm house, well equippted, close to Ohakune and ski fields. Comfortable beds, everything you need for your kitchen needs. Good WiFi speed, our teens were completely satisfied. House is big enough for 3 families with kids. Great entertainment like pool table, tennis table and darts for all. We will definitely come back next winter. Great place, location and facilities! We had a great time at the Lodge. Very clean and tidy with everything you need. Will definitely return for a summer holiday. Experience was great its like a home away from home.